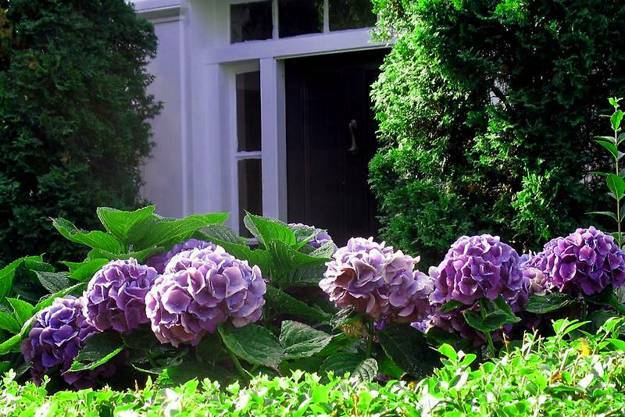 Garden design and yard landscaping with hydrangeas look spectacular, exotic and bright. 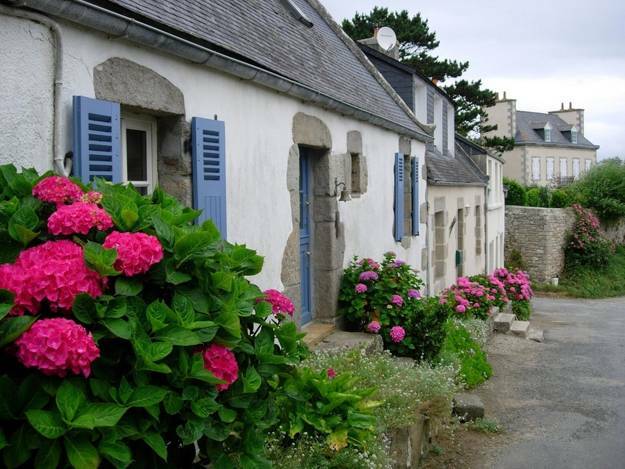 These fabulous, hearty and beautiful flowering plants have attractive leaves and large flower heads. The shrubs grow quickly, creating spectacular centerpieces for large yard landscaping, or they can be trimmed to form attractive spheres, ideal for small garden design. 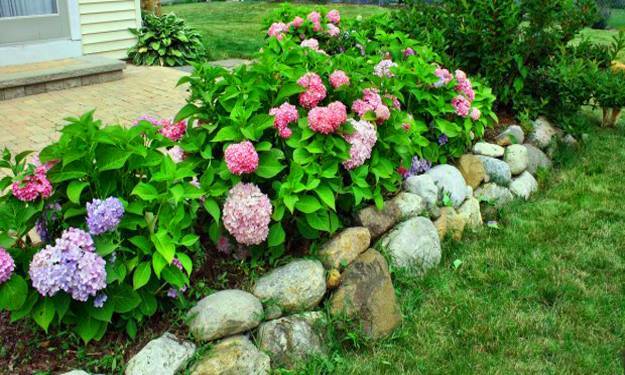 Lushome collection of simple outdoor home decorating ideas demonstrate creative ways to include hydrangea plants into yard landscaping and garden design. 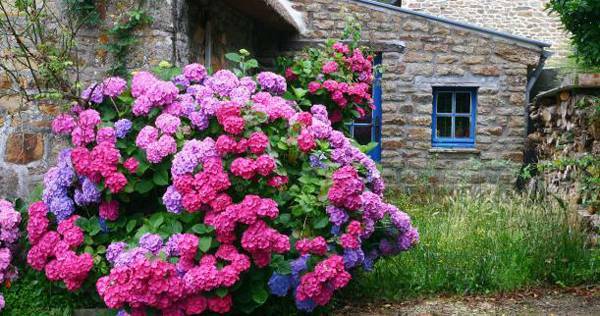 Hydrangeas are fascinating flowering plants that produce pretty leaves and large flower heads in various bright colors. White flowers look very charming and impressive also. 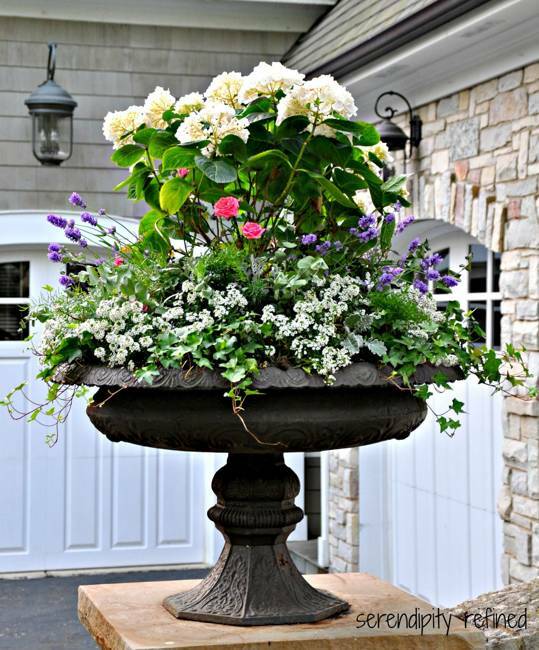 These flowering plants are excellent for creating flourishing look in outdoor living spaces. They can be used for various landscaping ideas, to form garden paths, create bright centerpieces or decorate empty spots in gardens. 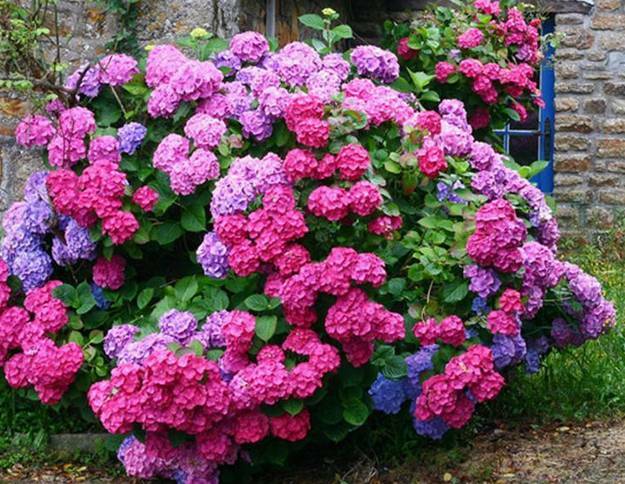 Hydrangea shrubs are excellent for personalizing yard landscaping and garden design with color and shape. 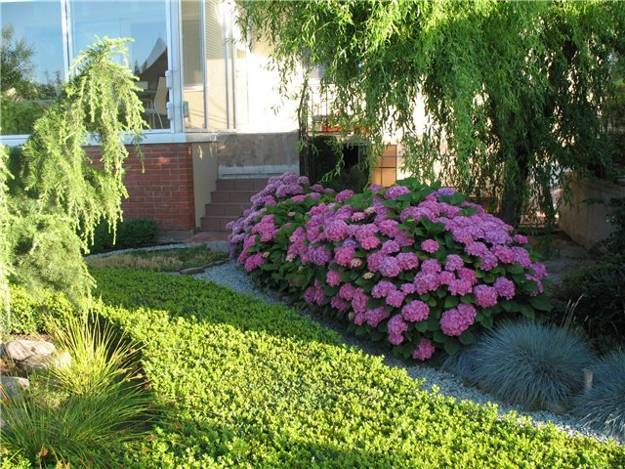 Shrubs can be trimmed to suit any outdoor home decorating plan and garden design of any size or layout. 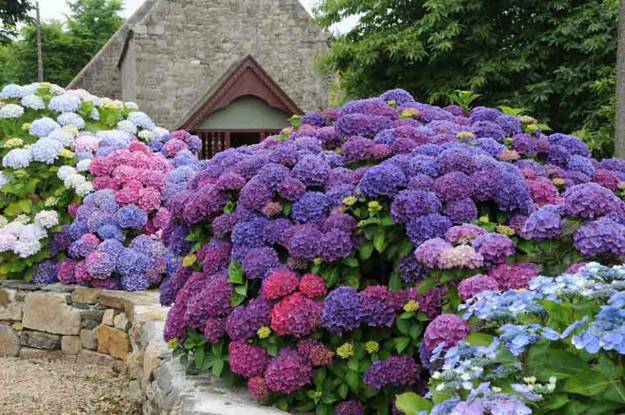 Hydrangeas can be pruned extensively without becoming damaged and still surprising with gorgeous, large and beautiful flowers in spring and early summer. These flowering plants require a lot of sunlight, fertilization and water to flourish at its finest. The color of the flowers depend on soil, but gorgeous blossoms create spectacular displays for a few weeks, adding stunning centerpieces to front yard landscaping and backyard garden design. bloom for over a month. 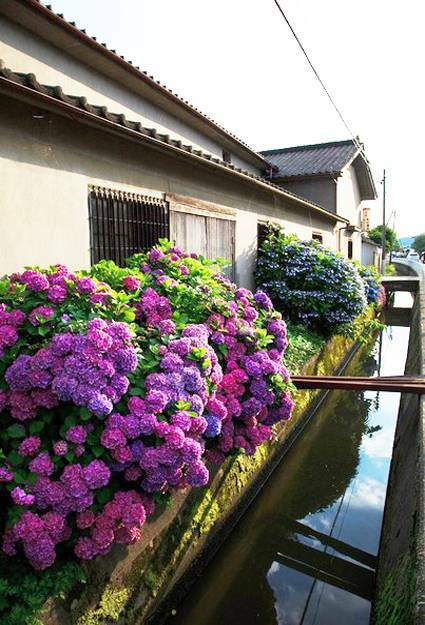 Hydrangeas are wonderful shrubs for outdoor home decorating. 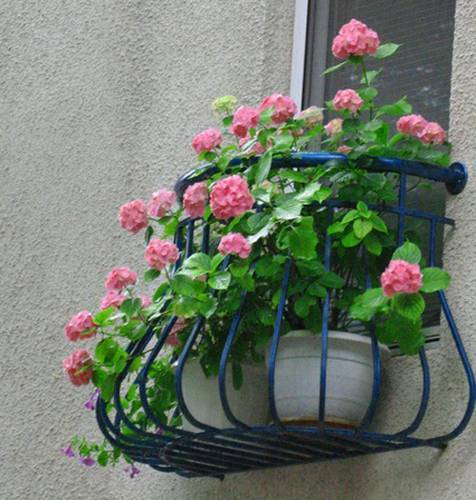 These flowering plants create a lovely, colorful and romantic decoration for outdoor living spaces, spicing up green and brown colors with colorful accents. 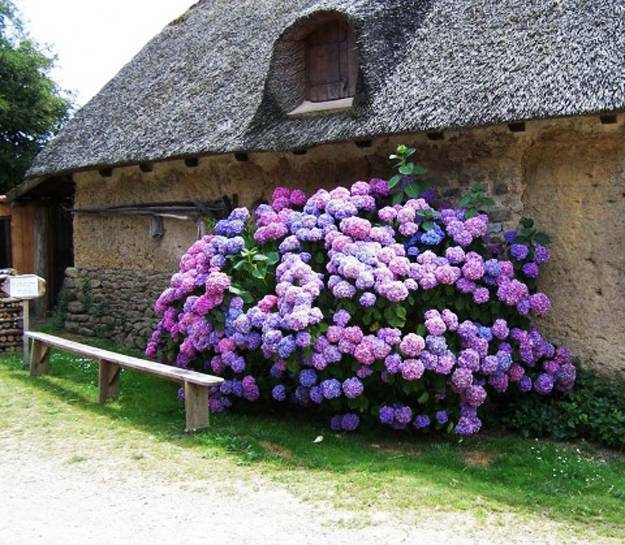 Some hydrangea flowers add a nice aroma to garden design. 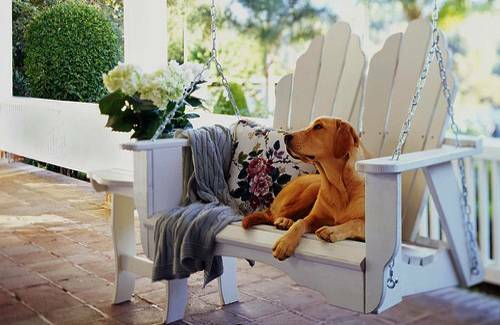 Their fragrant touch helps create truly romantic and pleasant outdoor living spaces. 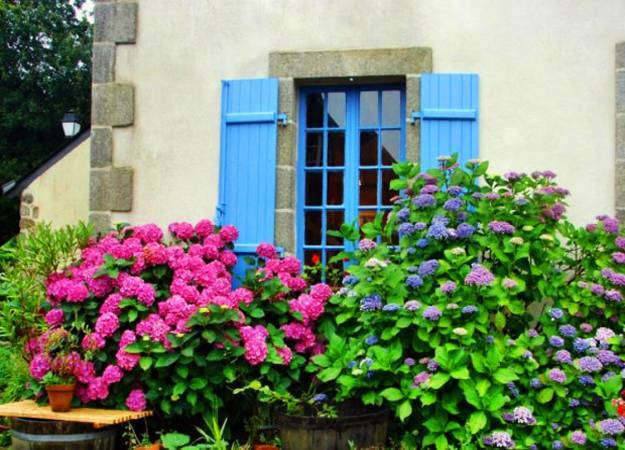 Gorgeous blossoms, striking colors and a fragrant touch that hydrangeas add make garden design and outdoor home decorating look and feel very attractive. 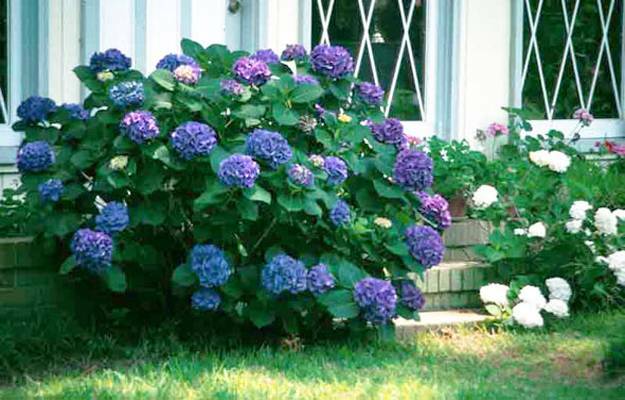 These beautiful flowering plants can be accented by surrounding them with evergreen plants or seasonal flower beds with flowers in contrasting or complimenting colors. 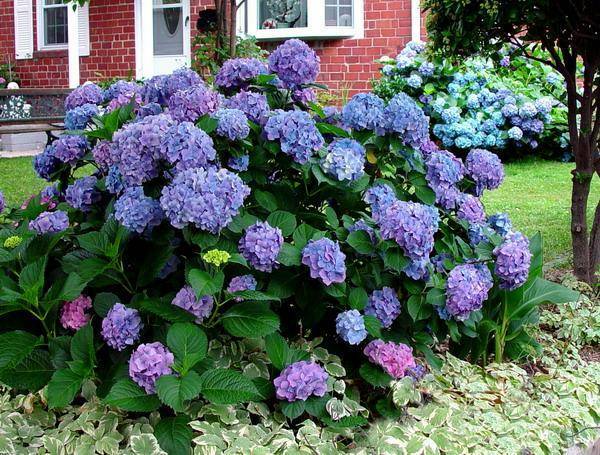 Whether you are planting hydrangeas or replanting divided hydrangeas you have to take of these flowering plants for some time, until they mature to make yard landscaping process effective. 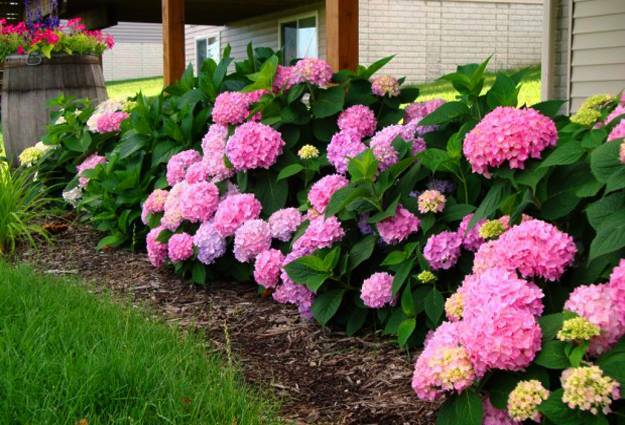 These flowering plants with large flower heads are very thankful and will pay back with spectacular blooms in spring and early summer. 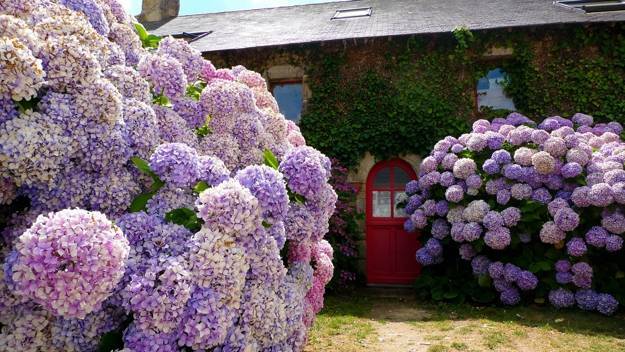 Outdoor home decorating with hydrangea flowering plants is inspiring and clever. 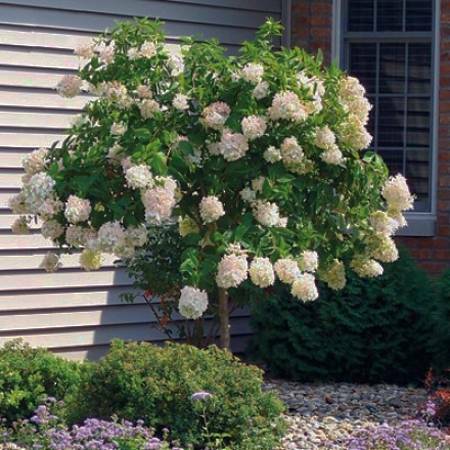 These flowering shrubs give a unique, exotic and surprising touch to yard landscaping and garden design. 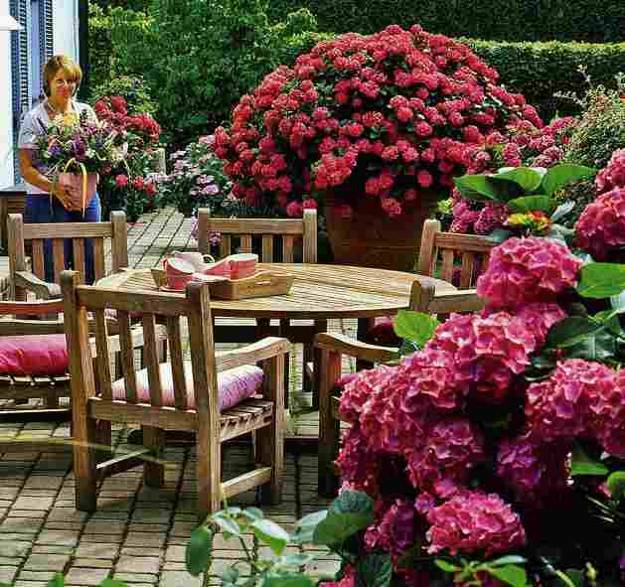 Their bright large blossoms lend prominent accents to outdoor home decor, create beautiful garden design and beautify patio ideas through all seasons. 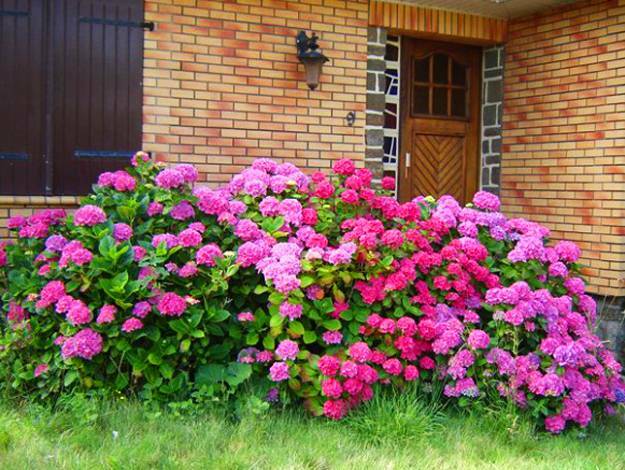 The flowers scent enhance attractive yard landscaping and provide a different, natural and sensual element to outdoor home decorating.